Flat feet, sometimes called flat foot, pes planus, over pronation or fallen arches, is a deformity in which the arch of the foot collapses, leaving most — if not the entire — sole of the foot in contact with the ground. This happens when the tendons that make up the arch of your foot do not pull together properly. 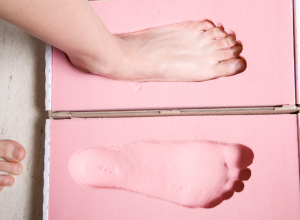 However, it is possible to be born with flat feet, and it’s estimated that 20 to 30 percent of the general population is born with the condition. Having flat feet is usually a painless condition in which the entire sole of your foot touches the floor when you’re standing. Some people experience foot pain in the heel and arch area, and in rare cases, ankle swelling is present. Because the feet start to move and function in an unnatural position, they can tire easily and can become more prone to developing bunions and calluses. Some conditions that could cause the formation of flat feet include stretched or torn tendons, obesity, rheumatoid arthritis, an injury to the foot or ankle, and old age (when the tendons simply stretch out from wear and tear and don’t function as well as they did before). As mentioned above, some people are born with flat feet, suggesting the deformity may be hereditary. 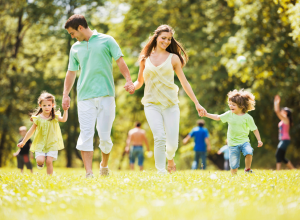 It’s important to note, however, that all infants and toddlers are born with flat feet, as it takes a couple of years for their foot arches to develop. Because it is generally painless and harmless, having fallen arches isn’t typically something that needs to be treated. However, several sites like MedlinePlus suggest it’s possible that having flat feet could contribute to ankle and knee problems, as the condition can altar a person’s natural gait. If this happens, your doctor may suggest rest and ice to relive the pain and swelling, stretches to help flex the tendons, using orthotics or insoles to support the arch, corticosteroid injections to reduce inflammation and/or surgery. As with all foot related conditions, diabetic patients should consult with a health care provider if they believe they have pes planus, as it’s important people with the disease are extra careful when it comes to foot care. Find out what’s likely causing your foot arch pain and learn treatment options. Are You Shopping For Your Foot Type? Here's why it's SO important to know your foot type before you buy another pair of shoes. Keep the spring in your step all season long.